 Why Should I use Kelly's Occasions? We have years of experience and were one of the first Chocolate Fountain companies in Essex. We offer a lot more than just Chocolate Fountains, so coming to us for other services as well will save you time and money. Our priority is making your event special and one to remember forever. Just have a look at our client-base and our galleries to see how professional and well-established we are compared to other companies out there. We will do our best to beat any similar quote. As soon as possible. We get extremely busy during the summer, so it is best to book early to avoid disappointment. If you are booking a wedding in advance then you can book us at the same time to guarantee our services. Yes a £50 non-returnable deposit is required with the balance to be paid 2 weeks before your event. If you do need to cancel us, can you please do this as soon as you know that we are no longer needed. Yes. All financial details of customers are kept strictly confidential and are not stored on record in any way. All deposits are non-refundable. If you cancel your booking with us, you can use your deposit at a later date if you wish. If the full balance has been paid and you cancel your booking up to 1 month before the date you are entitled to full refund excluding the deposit. Any cancellations after 1 month before your event, refunds are not possible. Is an operator included with the Chocolate Fountain Packages? Yes, all of our packages have operators to ensure everything is kept clean and runs smoothly. We have built up a good reputation with venues over the years, mainly due to our operators keeping everything immaculate. The final cost of your chocolate fountain hire depends on the location, time of year and what fountain packages and extras you require. Please contact us if you would like us to give you a quote. We are based in Essex but we cover Hertfordshire, Sussex, Kent, London, surrey, Middlesex. We also have done many functions in most towns and villages in Essex including Basildon, Chelmsford, Corringham, Stanford-le-Hope, Hornchurch, Wickford, Southend, Romford, Brentwood, Braintree, and Billericay. The following towns are places that we frequently visit with our chocolate fountains – Reading, Luton, Stevenage, Dartford, Maidstone, Gillingham, Harlow, and Croydon. A list of Venues can be seen on the Galleries page. All we need is a table with cloth and a 13amp power supply. We will supply everything else. If you do have any special requirements then please let us know and we will do our best to accommodate these. Once I email you, will you send me a quote? Yes, simply email us and tell us the details of your requirements and we will reply within 24 hours. If you do not receive a reply, check your email spam filtering software has not blocked our email. If you prefer to discuss your requirements with our friendly team, you can call us on 01375 893150 or 07815 724145.